The inspiring Scripture from"Faith, Hope, Love...The greatest of these is LOVE" is the beautiful scripture from 1 Cor. 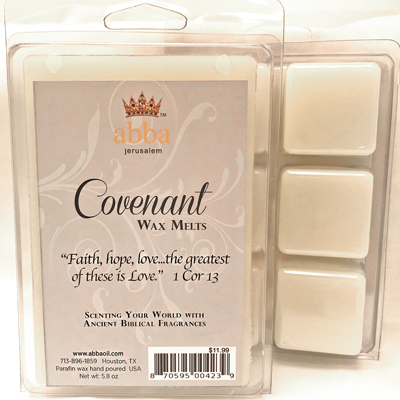 13 on our fabulously fragrant, Covenant! We chose COVENANT for the fragrance as it represents the Spirit of Prophecy. Hand-poured in Abba's facility.